If you have any enquiries that are not addressed in the FAQs below please contact us for more information. 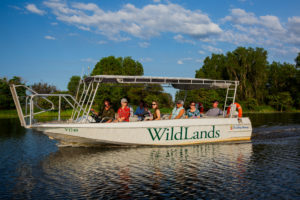 Why book with Wildlands Wetlands Safari Cruises? We are long term locals who have a passion to show you our backyard and we promise to offer you quality tours in complete safety. Many companies will dazzle you with tempting cheap offers, but we want you to enjoy a quality professional experience. 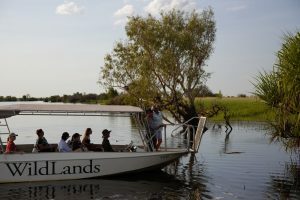 How do we book with Wildlands Wetlands Safari Cruises? You can go right ahead and book right here. Your booking is guaranteed and secure. If you have any questions before booking or would like a customised booking, please contact us and we’ll be back in touch asap! What months do you operate? Generally we operate during our cooler Dry Season which is between April and October. We often get asked what part of the day or which month is the best time to travel. Naturally this depends on what your schedule is, but our personal suggestion is anytime during the Dry Season, which is between April and October. Our custom-built cruise boats have a canopy to provide shade, but we also recommend you bring your own hat and sunscreen. Do you offer transport from Darwin? No we don’t provide transport and you would need to make your own way out to us. If you don’t have a vehicle our suggestion would be a hire a car or for something really special; fly to us by helicopter. Nautilus Aviation have linked a spectacular scenic flight from Darwin with our tours. For more information on this or to make a booking visit their website at www.nautilusaviation.com.au or click on this link. Do I need a 4WD to get to Corroboree Billabong? The road to Corroboree Billabong is now sealed most of the way with only the last 4km being unsealed road that is very well maintained. This means that all types of vehicles can now travel easily to our base. Are there toilet facilities at Corroboree Billabong? Yes there are public toilets located in the car park area. Is drinking water available on the tours? Yes we provide a 600ml complimentary bottle of chilled drinking water per person with all of our tours and of course we also carry extra water on board each vessel. Can we bring infants on the tours? 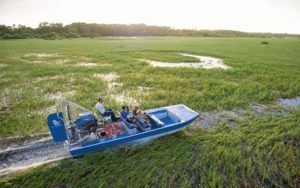 Infants are more than welcome on our Safari boats however due to the requirement for ear protection on the Airboats the minimum age allowed is 4. Do you take bookings for large groups? We welcome groups of all sizes so please contact us to help you put together a booking.